Single image purchases are done using credits (see “What are the credits and what are they for?”). The price of 1 credit is always $1 not depending of the credit package you bought. So you can easily consider “credit” as “dollar”. Minimal credit package is valued at $10. For every image bought for credits you can get another JPEG-image as a free bonus. But this doesn't apply for the smallest size of images. It's worth noting monthly subscription for $59 allowing to download 5 images per day with a cost of $0.39 for each of them. It's the best offer for those who doesn't need many images. Other subscription packages for one or more months are also relatively cheap. If you're not sure use subscription or not then you can use free trial subscription for 7 days. You can download 5 free images per day. After 7 days free trial subscription upgrades itself to one of the standard subscription plans. Unless customer have cancelled it earlier. Also it's important to say that there is a possibility to purchase images using SMS. Using this payment method you can buy image packages. Minimal cost of SMS depends on your region and mobile operator, but in average it costs $1-$1.5. For each SMS you can get 1 image of any size or 1 vector illustration. 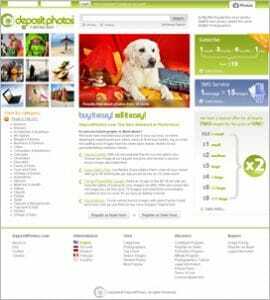 To register on Depositphotos click this link. Are you a business blogger? Do you run a website? If you do, are you aware that you could be in danger? The use of stock images in your campaign puts you in high risk, especially if you are uninformed about copyright laws. In fact, majority of bloggers do not realize that they might be set up by the free photos they find in search engines. Here’s what you can do to save yourself from hefty fines in the future. Shoot it yourself. If you own the photos, you are exempted from the copyright issues that the creator may throw because, basically, you are the owner. It is a good solution for large business with a huge budget for visuals. However, smaller businesses and novice bloggers may find this option painful on their pockets. Go Royalty-free. This is a better alternative for small business owners and neophyte bloggers. It is not as expensive as conducting your own photoshoots, but it derives some of the most amazing images. However, you need to have an organized system of cataloguing your licenses so you can access them when you need them. Photographers and other content creators have the right to protect their work. Unfortunately, some move beyond protection. That’s why it is important that you familiarize yourself with the dangers you might encounter with the use of visuals. You need to know the risks of using the images and determine ways to use them while protecting yourself and your business from those who exploit copyright laws. With these two choices, small business owners and novice bloggers will surely make the most of their royalty-free photos with Depositphotos coupons. Do you also need visuals on your site? You can also benefit from them. Offered in various affiliated websites, you can find these amazing promotion codes all over the Internet. Of course, you need to deal with trusted sites only. Depositphotos stock photos are amazing images contributed by thousands of talented photographers and artists all around the world. You will surely find image/images that will suit your creative needs from its vast library of stock photos. And with a promotion code, you can get loads of discounts and get savings in the long run. 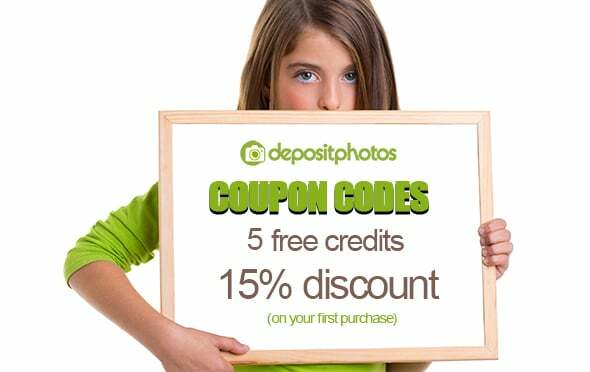 Get your depositphotos.com coupon code now! Adding compelling stock images and graphics to your content can increase your views up to 94%. However, the use of stock images, if done sketchily, can also place you in danger. You need to be careful to save yourself from the hefty fines imposed on copyright noncompliance. Fortunately, you have the option to shoot the images yourself or get royalty-free ones. To save more, opt for the latter but be sure to organize your licenses to avoid any problems in the future. Maximal times to print the content, or an element of the content: 500 000. – up to 2 000 T-shirts, apparel items, games, toys, entertainment goods, or framed artwork. -: by subscription you buy credits and not a number of images, so a price for some large-size picture purchased by subscription on the iStockphoto can be several times higher than on other microstocks. Searching high-quality exclusive pictures? Welcome to the iStockphoto. Here you will find out a huge number of exclusive artists, selling their high-level arts for iStockphoto’s clients only. Probably prices are a little bit higher, but you will really get what you pay for. Of course besides of exclusive ones, there are millions of other stock works here, so a iStockphoto’s assortment is very competitive.